Loyola alum and US Housing and Urban Development Attorney, Ji Yoo '03 will be on campus to speak about the 2019-2020 Legal Honors Program. This is a post-graduate opportunity for current 3Ls, 2Ls are also welcome to sit in to learn about this program. 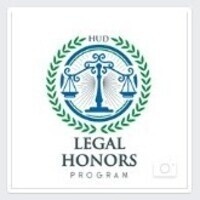 For complete details about the Legal Honors Program please reference Job ID # 23934 in Symplicity. This is the perfect solution of your problem and you are change the window10 and you are choose the one click http://changeringtoneinwindows10mobile.com and you are go to the website.